Cale's work combines reality, fantasy and an almost clairvoyant insight into personality. Why See We're Only Alive for a Short Amount of Time? 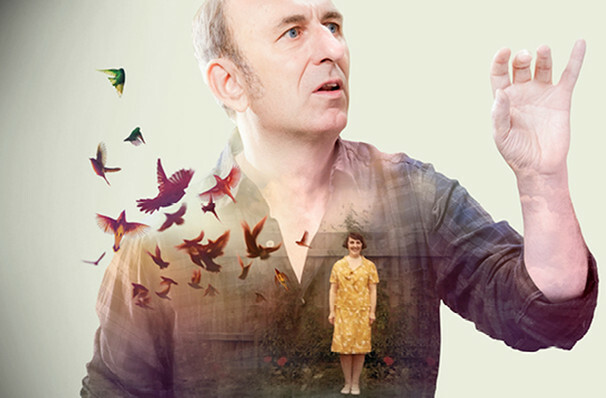 Obie Award-winning playwright and performer David Cale has become one of the leading solo actors in America thanks to his vivid storytelling and magnetic stagecraft. 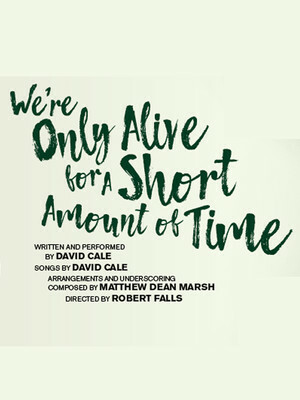 Following the rapturously-received success of 'Floyd and Clea Under the Western Sky' at the Goodman, the raconteur returns with the brand new world premiere of his thrilling autobiographical epic "We're Only Alive For A Short Amount Of Time', playing a strictly limited run this Fall. From the volatile relationship between his parents, to tending birds in a makeshift animal hospital in his garden, Cale explores his colorful roots in an English industrial town, conjuring his past with a poetic flourish and bringing distant memories back to technicolor life with a breathtaking physicality and stage presence. A musical memoir filled with poignant recollections, the production gathers pace when tragedy strikes, changing everything a young Cale thought he knew. Yet hope and life shine through the adversity, reminding all who watch of the ephemeral yet beautiful nature of life, death and everything in between. Seen We're Only Alive for a Short Amount of Time? Loved it? Hated it? Sound good to you? Share this page on social media and let your friends know about We're Only Alive for a Short Amount of Time at Albert Goodman Theater. Please note: The term Albert Goodman Theater and/or We're Only Alive for a Short Amount of Time as well as all associated graphics, logos, and/or other trademarks, tradenames or copyrights are the property of the Albert Goodman Theater and/or We're Only Alive for a Short Amount of Time and are used herein for factual descriptive purposes only. We are in no way associated with or authorized by the Albert Goodman Theater and/or We're Only Alive for a Short Amount of Time and neither that entity nor any of its affiliates have licensed or endorsed us to sell tickets, goods and or services in conjunction with their events.